Boy, do I feel lucky. 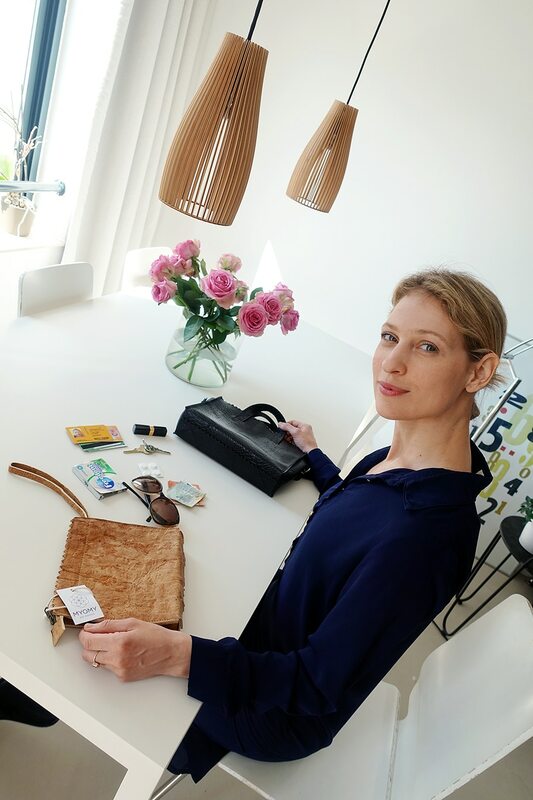 MYOMY, a sustainable leather bag and accessories brand, have asked me to test a bag made from a completely new material: mycelium leather! I have three whole weeks to test the bag for durability, look and comfort. But before I reveal my experience I feel I need to tell you why there’s a dire need for a natural alternative to leather and the impact the current leather production has on our planet. Opening up the long-awaited package. Raising animals for food and leather requires huge amounts of feed, pasture land, water, and fossil fuels. Animals on factory farms produce 130 times more excrement as the entire human population, without the benefit of waste treatment plants. Turning skin into leather also requires massive amounts of energy and dangerous chemicals, including mineral salts, formaldehyde, coal-tar derivatives, and various oils, dyes, and finishes, some of them cyanide-based. People who work in and live near tanneries suffer too. Many die of cancer possibly caused by exposure to toxic chemicals used to process and dye the leather. PVC. PVC is infamous for its environmental unfriendliness. In production, PVC produces harmful dioxins and uses highly toxic chlorine. POLYURETHANE (PU). Today’s vegan leather is made using polyurethane (PU), and it is so much better than PVC, but still, the raw materials of PU come from fossil fuels, and producing PU is not yet entirely non-toxic. Mycelium, the spores of mushrooms, is an incredible material. You can use it to make anything from chairs to lampshades to packaging material. Mycelium only needs a little water to grow and has the potential to be, for instance, antibacterial. 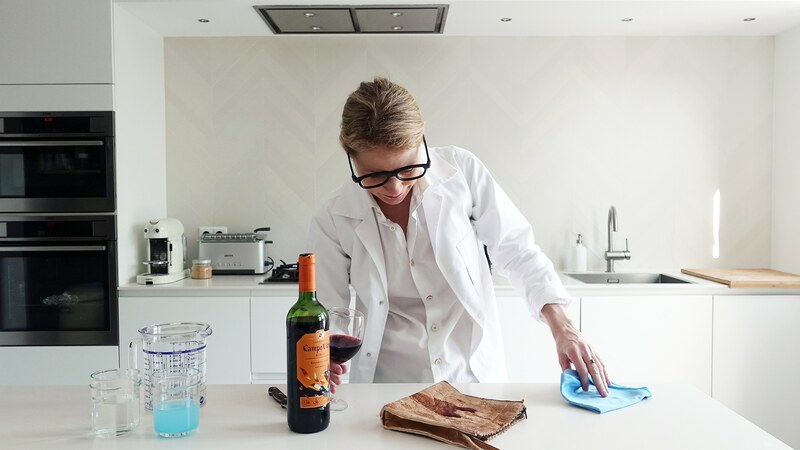 The fabric is 100 percent biodegradable and acts as nutritious soil for other plants. The mycelium bag I got was light brown in color and rather on the small side. After transferring all my belongings into their new home for the next few weeks I discovered there was a lack of separate sections so everything was kind of mingled together. Transferring the contents of my old bag into the new mycelium bag. No different compartments… but it’s just a prototype. But not to worry, it’s just a prototype, we are here to test the leather, so off I went to see how I can style this bag to complement my outfits. 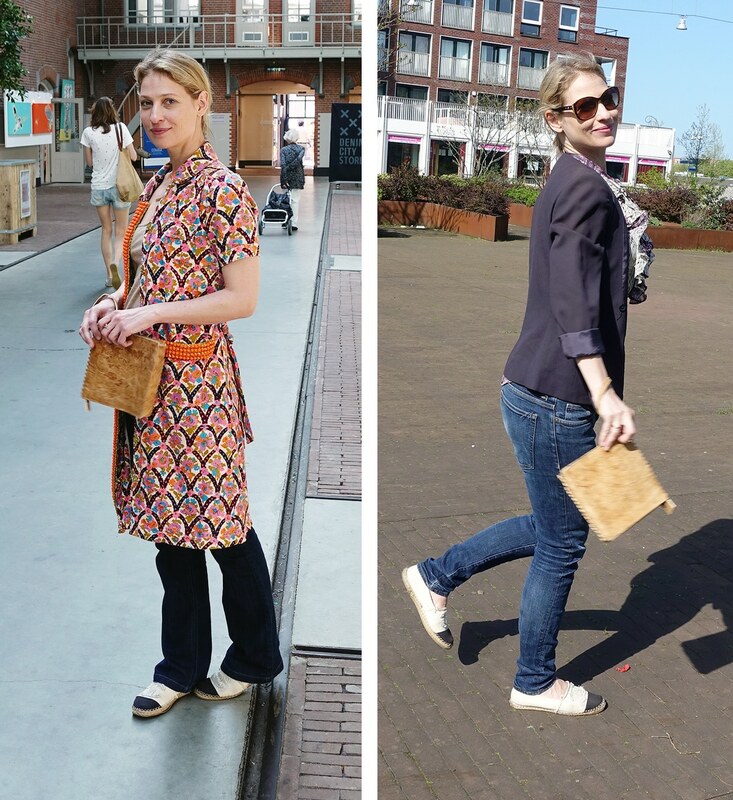 Just a few of the outfits that I wore with the mycelium bag. I have to say, the neutral color of the bag made it easy to pair with almost any outfit, no matter how crazy or everyday. A minor drawback was the lack of a shoulder strap which meant that I had to carry it everywhere in my hand… but hey… it’s a prototype. So far, so good. Ok, this is not an official “look”, but more of a “smell” observation. The leather smells a bit mushroomy, sort of dry Fungo Porcino smell which I, personally, didn’t find disturbing at all. Want to test your product thoroughly? Give it to a 5-year-old. Maya had so much fun running around and playing with the bag and managed to fit in probably 1 year’s worth of “wear and tear” into an afternoon. Maya is thoroughly testing the mycelium bag. The bag stood the test beautifully and only frayed a bit at the edges. 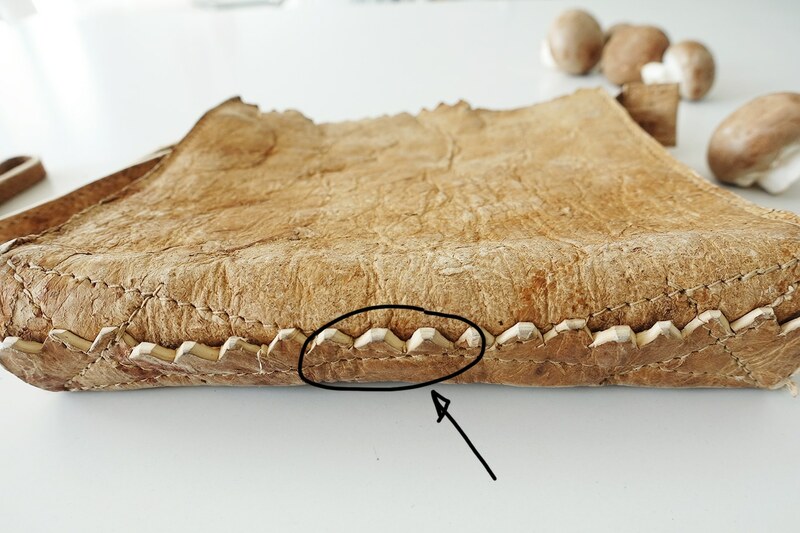 The leather seems to be made out of very thin layers that do tend to separate at the ends. You can see the layers separating a bit at the edges of the bag. 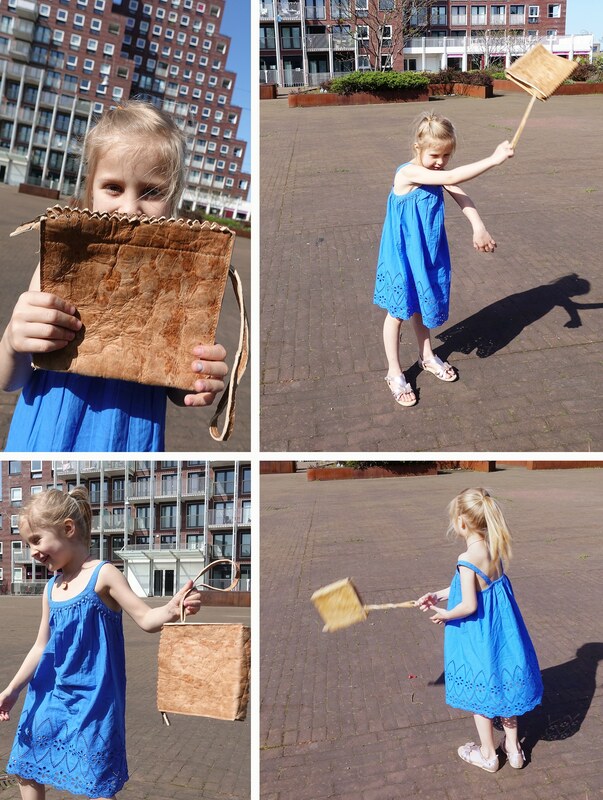 I wanted to see how waterproof mycelium leather is but, unfortunately, there was no rain for ages (imagine that in the Netherlands) so the testing had to happen in my “lab”. At first glance, the leather seemed to be waterproof, but in a stronger rain it does let water through but dries pretty quickly so overall, pretty impressive results, I thought. Putting the bag to some vigorous testing at my home “lab”. I sprayed the mycelium bag with water and left it to soak for about 10 minutes. After about 10 minutes the water seeped through the leather a bit. Next came the wine. How many times have you’ sat at a cafe table and clumsily tipped a bit of wine on your purse. I know I have. After spilling red wine over the mycelium purse I let it sit for a few minutes before wiping it off. I have to say, it cleaned up beautifully, no stains left at all. The environmental impact! This is the biggest point for me. 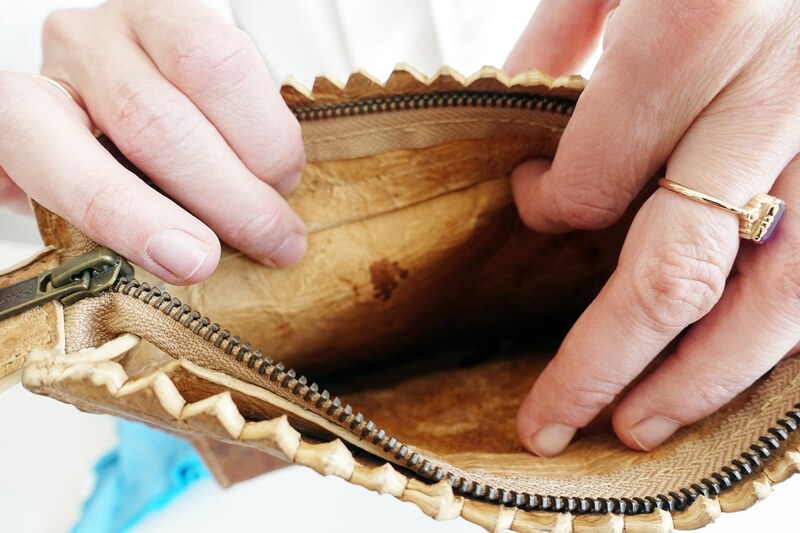 Mycelium leather is an amazing leather alternative as far as environmental issues go. 100% biodegradable, non-toxic and doesn’t take many resources to produce. Look-wise, I think there’s a lot of potentials that need to be developed further. I was surprised how real the mycelium leather looked and felt. A close-up of the mycelium leather so you can see the texture better. The only thing I would really try to improve is the thickness of the leather. I think it needs to be a lot thinner, firmer and perhaps (and this is my taste, a lot of you might disagree) smoother, not so textured. 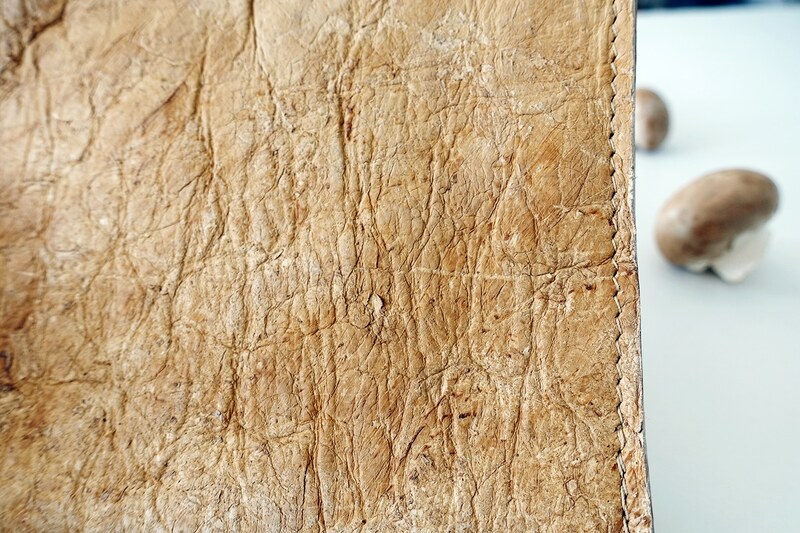 What do you think about mycelium leather? Would you wear it? Thank you so much for such a wonderful feedback! I’ll be sure to look into all the points you’ve made… every little helps! I had never heard of this! What an interesting bag! Wow, how interesting! I would love to try something like this as I am always concerned about my own impact on the environment. I had NO idea vegan leather had pvc in it! Your Maya is too cute and I agree. The best way to test anything is give it to a 5 year old, lol! Oh how interesting. I’ve never heard of this. That’s great it stood up to most of your tests! 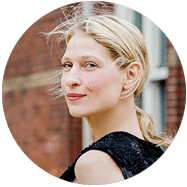 Pingback: What will Mycelium in the Textile Industry be like in 5 years? it’s still in the prototype stage so the qualities of the mycelium leather are still in development. I hope we’ll see the final products in the shops very soon! 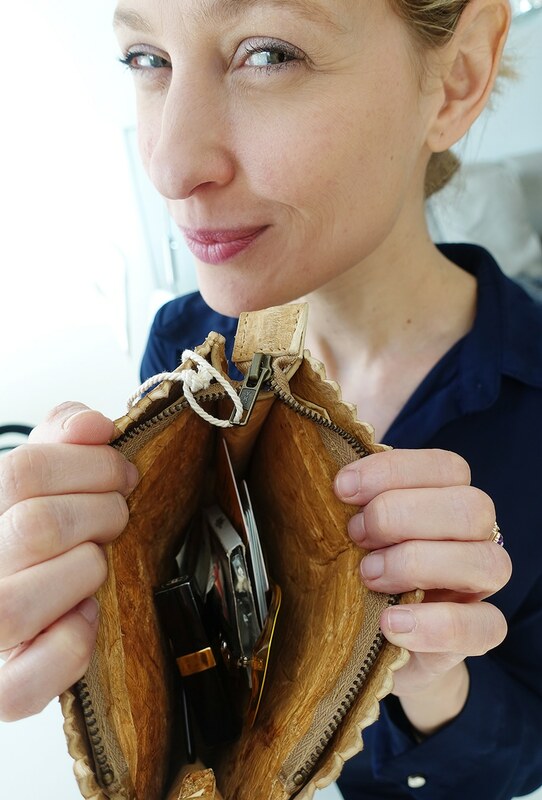 There’s a saying that “Good handbag comes to those who wait” And I think you have got one. And I want one too. Please notify us when it comes live. Thanks, Victoria.